In this project, we use Raspberry Pi 3.3V and GND as MCP3008 Input Channel 1 and Input Channel 2 respectly. the MCP3008 will convert the analog signal to digital quantity, this enables the Raspberry Pi to interpret analog voltages that are in turn typically emitted by analog-based sensors to reflect a measure of a physical characteristic such as acceleration, light intensity or temperature. MCP3008 uses SPI interface, wiring up the MCP3008 to Pi as following connection graph, NC means Not Connected. 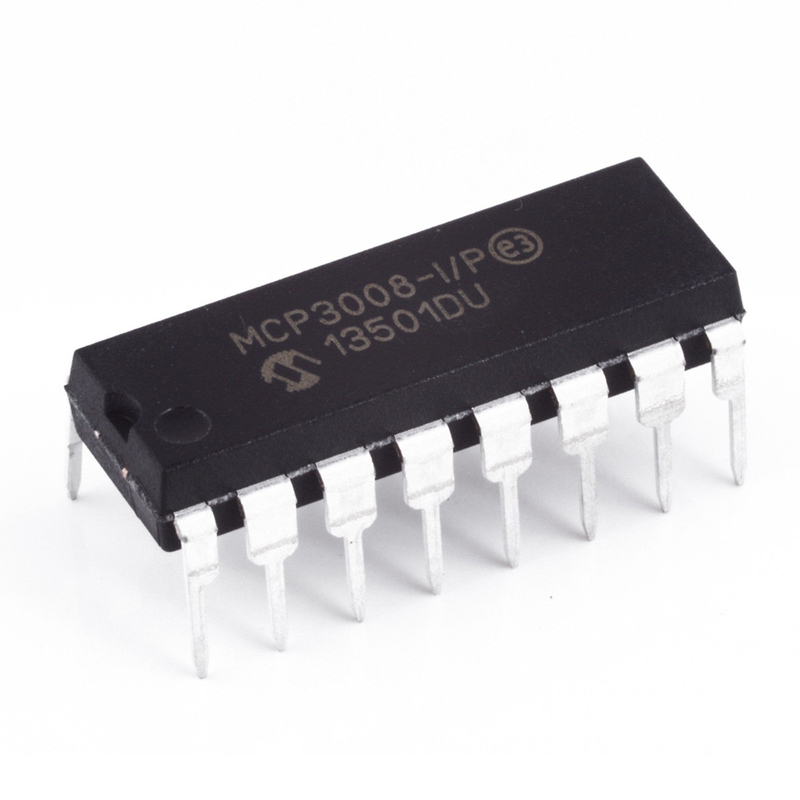 MCP3008 can read 8 different analog input signal from pin CH0,CH1..CH7. The Chip will compare input voltage with Maximum allowed voltage and output an integer between 0 to 1023. Input analog max value are defined by VREF pin. 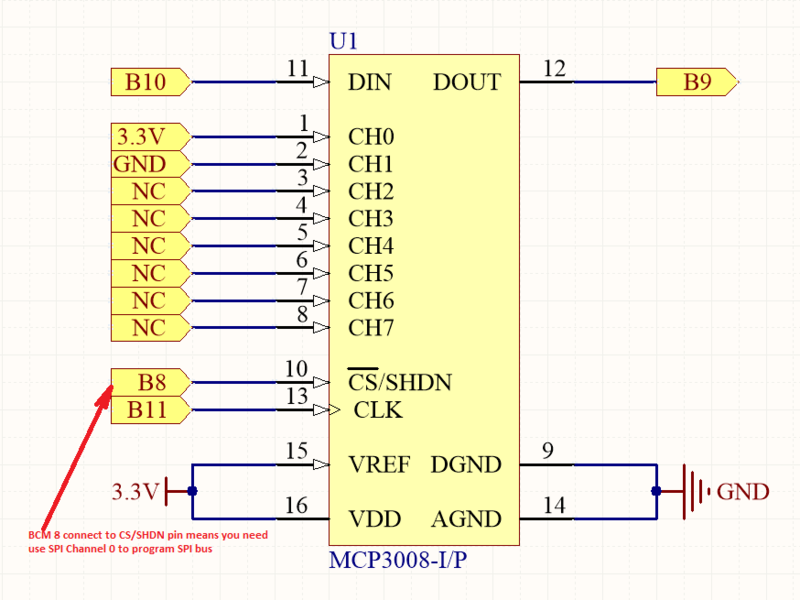 In this sample circuit, CH0 connected to 3.3V which is same as VREF voltage, so output integer for CH0 is 1023. Ch1 connected to GND, its output is 0. Output will be sent through SPI serial protocol.